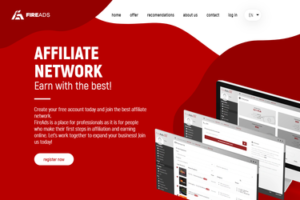 Sometimes, the strategies used in affiliate marketing can be considered ultra-aggressive, borderline uncompliant and sometimes even deceiving. Even if no one wants to be associated with something unethical, when margins are low and the bid price is increasing, if the whole competition is using dirty techniques the whole industry can become a dog eat dog world. Even so, going whitehat it’s not only easy to do but also has a lot of advantages. Earning big money doesn’t necessarily mean cashing hungry people or being a bit shady and borderline unethical. Affiliate Marketing can still run profitable campaigns using white hat tactics and being compliant. Here are the main differences between the three “hats techniques” and the way they work! Using black hat marketing means not to follow the rules and to engage in fraudulent activities. Deceiving messages, scams and sometimes even malicious techniques can get your site banned from search engines, even if they are increasing your ranking for a short period of time. No value is added to the user when using these techniques and they should not be exercised at all if you want to above board with Google and other search engines. Most of the black hat techniques that affiliates use, are content automation, hidden texts or links, link manipulation, keyword stuffing, SQL injections, phishing, cross-site scripting etc. Being the middle ground between white had and black hat, this technique still involves a certain amount of risk but if it’s used in a more professional way, it can still be effective. It consists in techniques like cloaking, link buying, duplicating content, purchasing old domains and so on. You’ll usually get kicked off networks/traffic sources for using these kinds of techniques. Also, using VIP images or logos can place you in the borderline market. Nevertheless, all these tactics have short-term advantages and they won’t make for a long-term business, so we are not recommending them. White hat techniques offer full transparency to the consumers, maintaining the good reputation of your company and they refer to any practice that will improve your SERP performance while still respecting the rules. It includes keywords, back-linking, relevant content, organic ranking and creative headlines that will engage the audience. So basically, there are no lies used, no overstating headlines and mostly no worries and all the affiliate networks and advertisers will be completely fine with what you’re doing. Let’s see how each of these techniques will affect your campaigns and audience! When you pay your audience is very likely that they might not be interested in your brand and your products. Having fans and followers it’s always good but if they are not interested in purchasing or if they contain spammers and hackers and they will harm the real audience, then paying for them will make no sense. Having relevant, engaging content with informative posts is the best way to grow your audience. When your followers grow organically, you’ll have more chances to sell your services and grab audience attention than if you’re paying for your public. Hiring professional content writers and social media managers that will create interesting content on a regular basis, promoting your products or your service in a relevant way, will spread the word about your brand and increase the numbers of real fans. It is pretty common to run advertising campaigns on Facebook but if you want to comply with Facebook’s Pages Terms, you need to do it within Apps. When your brand is running promotion on a regular basis without complying with these rules, your techniques get a bit blurry, if not back at least grayish. In order to run legit promotions on Facebook you need to administrate them within Apps and respect the rules regarding the endorsed or sponsored ads, the disclosure about participant’s data or Facebook functions as valid actions to entry a promotion. We all know those social media spammers who use this black hat tactic, inserting spammy links to a popular post in random comments or tweets. Considering not everyone that reads an article knows that it can contain an affiliate link, they earn a lot of money using cloaking. The best way to get rid of these spammers is to report them and obtain more traffic the “white way”. You can always boost your visibility and obtain traffic by posting intriguing content, using the right hashtags, posting in relevant groups, engaging in conversations on trendy topics. It’s the best way to drive traffic to your site. Even if mostly cover photos are used to create awareness of your brand, there are some companies that promote sales using their cover photo, using prohibited tactics. There are specific rules that don’t allow a visual to have more than 20% of the text or to include price information or any other call to action for specific products or services and still, some affiliate leverage this area to encourage sales. Being creative and having an interesting cover photo will help you promote your new product or service without breaching the Facebook Pages Terms. There are a lot of successful brands that create Facebook creatives that get to the point and still comply with cover photos rules. When you don’t use automation to save time but to send generic messages to the new followers, the line between black hat and white hat gets a little blurry. Asking your new fans to engage in purchasing it can come pushy and turn the followers away. Automation tools can make social media tasks seem easier, if you use them to make the process less time consuming without being pushy and force interaction with the new fans. Always keep your engagement authentic and make people believe you are interested in their needs. Sending an automatic message to them, will make them understand it comes from a robot. 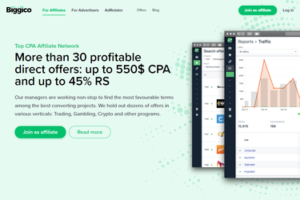 Now, if you’re still not convinced about the potential of White Hat tactics, we will give you some examples of verticals that work super well and can bring you serious revenues. Check out the tremendous benefits you can get when working with the traffic source rather than against it! Just remember that most of campaigns depend very much on the way you promote them. Gaming is an entertainment vertical that give people exactly what they are looking for. Promoting online games is a broad marketing that can bring you lots of money and it doesn’t have anything cryptic about it. White hat link building is possible and you can easily run your Facebook campaigns without being scammy, spammy or deceiving. More than this, it is a broad market with lots of opportunities for affiliates. Another white hat friendly vertical is Apps. The best thing about this vertical is that you can direct the link to your public. You only need to invest time in creating trustworthy banners and ads and you always need to test in order to promote materials that can convince people to install your apps. Don’t forget only Uber alone has killed it last year. 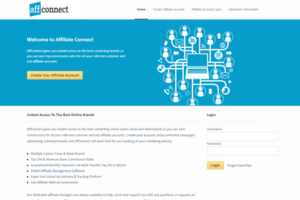 E-commerce is pure white hat affiliate marketing. Promoting these offers is not just very Facebook friendly but the most ads are not aggressive and you don’t risk having your account banned in case you are following the rules. If you create your own products, just like we did, it’s the best way to have high profit margins and increase your conversions. We already knew the market and how to buy traffic so we went that extra mile and now we’re providing the best selection of products, made under EU laws. Just take a look at our own Nutra offers and to start making money fast and with no risks! 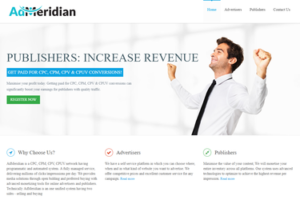 Lead generation is another vertical for white hat affiliates. From solar panels to auto insurance, some of the biggest companies in the world have affiliate programs. 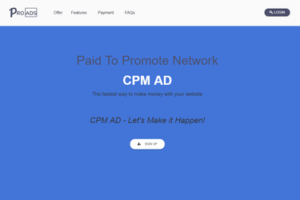 Being a market with such an array of offers and so many opportunities, it can bring you a great amount of money if you work with a legit advertiser. Dating is still one of the hot verticals and it sometimes uses black hat tactics, some times white. Try not to keep your ads too aggressive and don’t make unrealistic claims, think of different angles to promote your offers and you shouldn’t have problems earning big while running a successful white hat campaign. In conclusion, there’s a constant fight between good and bad in the world, and it’s the same online. Either you choose to be on the good side or not it’s your decision but if you want to protect your business from the risk of being banned and still be successful in affiliate marketing for the long term, whitehat campaigns can get you there. If you’re not sure if to use certain tactic, a keyword or an angle that might not comply with the rules, why take the risk? Running pure whitehat tactics it means you should always be creative, use different angles and always split test using your affiliate skillsets. But don’t assume whitehat will bring you low profits, cause it’s not true.